I know I have not been showing a lot of my work lately, but today I thought I would share a project I had a ton of fun working on…actually we are still working on things currently as well! 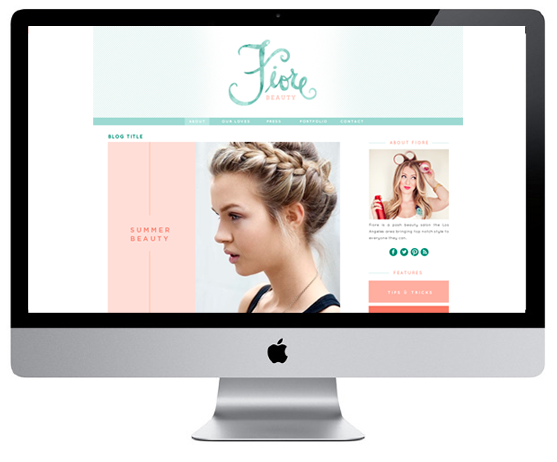 Having the opportunity to work with Jaimi to create a new blog for her company Fiore Beauty was a total blast. Not only does Jaimi know what she wants but man this girl is a stitch. She has been so fun work with. Jaimi was really looking to clean things up, making is simpler, and a little bit for fun than what she currently had. We also tried to think about how to make the experience of her brand more her and her business. Ultimately we came up with small updates and refreshes that made things feel newer and more alive for her. 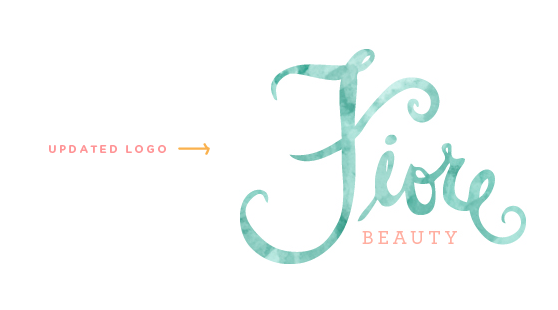 The project began with updating her logo some from her original and then beginning redesigning her blog, facebook, and twitter. Now we are currently working on her website and then promotional pieces. It was very fun to work together and put everything together. So keep your eyes peeled for the new website to launch! I probably should post more more often huh? I have been slowing down on taking so many projects as I have been diving in to my work here on the blog, but I still do get to work with some amazing people to help them with their brand and experience. So keep watching as I will try to be more diligent about sharing current work. The logo is amazing! I am looking for inspiration because I am desperately in need to make banner for my blog! Beautiful work! That logo is stunning! I love your work. I’m just getting into graphic design and this is so inspiring. Aww all of you are so sweet! Thank you! It was an update from her previous design so it is not completely original, but I am so glad you all love it!! !